I myself have not learned coding from school or any other computer coaching institute, but I know more than 6 programming languages right now. I had no guidance. If you also have the same problem then this post is for you. Below I have given a list of websites, web-apps, books, forums and YouTube Channels that will help you to learn programming online. BUT – before you start learning from the websites listed below, I have a few advices for you and trust me it will really help you in learning to code fast -What do you want to learn coding for? That is what task do you want to complete by learning to code, like web development, android development, web apps, maintaining servers, developing games etc. etc. Now once you have decided the above go and register to – Code.org. This website will keep you updated of all the latest seminars, workshops, competitions and webinars related to computers and programming. They even organize events like – The Hour of Code. And guess what it is FREE!! Be regular and don’t leave learning a language in between. Don’t think you will become a pro – game developer or sever maintainer overnight. 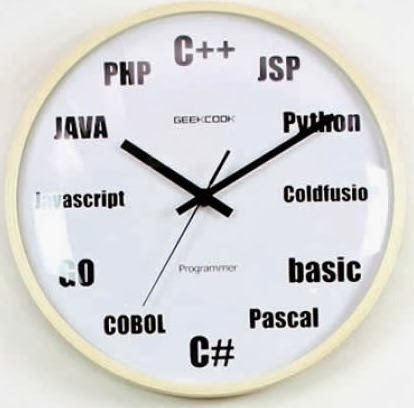 Learning to code requires time, practice, hard-work and – logic (lots of it!!). So, you are still reading this post and are not really scared of the last two points I have mentioned above. Here is the list which will be proven beneficiary to learn programming online. I have personally used this website a lot and still using it!! It is one of the best website if you want to learn Web development. This website is free – 100% and they don’t just teach you or give you notes…..they let you practice programming on their editors. This website have a very nice way of teaching to code, once you sign up and choose the language you want to learn you will see that they have a whole courses made for that language. You can also ask a query to the communities made on codecademy for a particular programming problem. Do you want to be the master when it comes to web development? Then you should try this one. This is the site I trust the most. However, these people do not offer interactive courses like the Codecademy do, you can still learn programming online on their website using their editor. They also have a list of references, examples and forums. This website is also free. Are you ready to spend a little money for learning to code? If ÂyesÂ then you should try this out. These people do like much Codecademy, but have more rich courses, competitions and seminar/webinars. You can try a course for free but not the whole. If you want to become good at python you should try this one. If you want to be a pro game developer and have a little programming experience try this. Huf, their list is endless, you can find it in their course catalog. The first chapter covers topics like setting up Windows and writing your first program ( in both Python and C) and the last chapter deals with advanced topics like – Network programming, game programming and parallel programming. The Missing Manual series is one of the best books in the market to learn programming. Although these are little costly but they worth it. The series so far have completed the following languages. The book however focuses more on application and software tutorials, but the programming books that they offer have not been written by no novice. The books come with tutorials CDs, you can even buy an E-book if you like. This introductory book on programming with C by K. N. King has a very nice and unique approach to the presentation of the material , as it is stuffed with examples and insights. The books just not teaches its readers to program but it also tells them how the C language actually works. It is a very nice book if you want to become a master in programming with C, but I believe that before reading this book you should be having a little experience with programming (you should at least know how loops and arrays work).